Like most, you probably are looking to be a better athlete, add years to your life, or perhaps are just wanting to look better naked. However despite your best efforts you have not yet reached your goals. You are tired, bored, discouraged, and feel like you've been wasting your time and money. For you to achieve your goals we only ask two things. Learn the proper form and then commit. You will see the results you are looking for! Personal Training - Every single trainer on our staff has a proven track record of success to help you finally reach your health and fitness goals. CrossFit Buff - Established in 2017, our CrossFit community is what makes our gym great. We like to consider ourselves a family of like minded people. 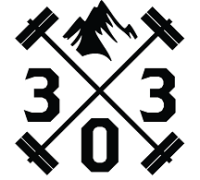 Sport Specific Training - The sports staff at 303 Barbell has the tools and expertise to take your performance in a specific sport to the next level. Crossfit, Personal Training and Performance Facility for Lafayette, Erie, and Louisville,Colorado.